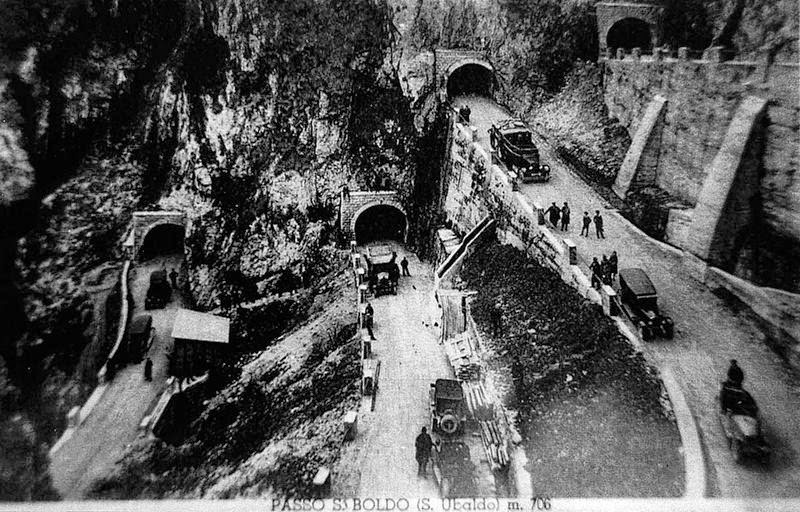 San Boldo Pass or Passo San Boldo is a small amazing mountain pass located in the Italian Veneto region between the towns of Trichian and Tovena. 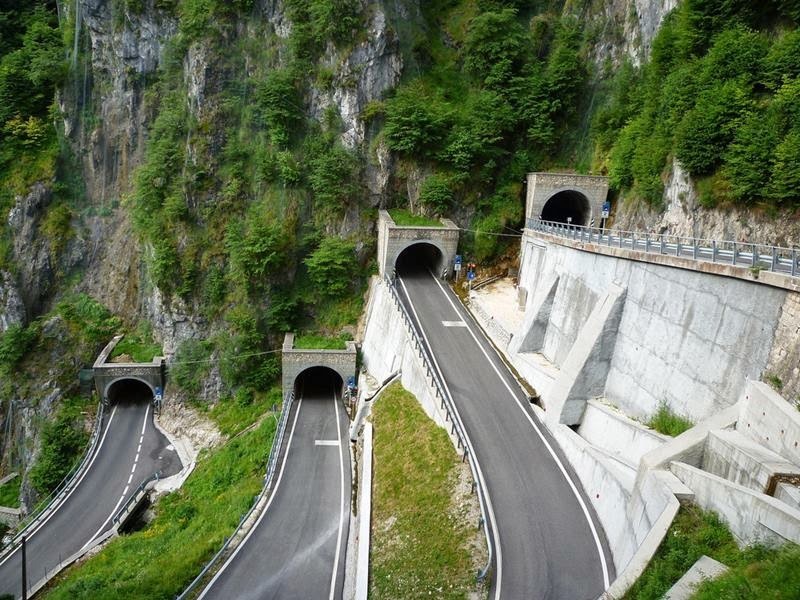 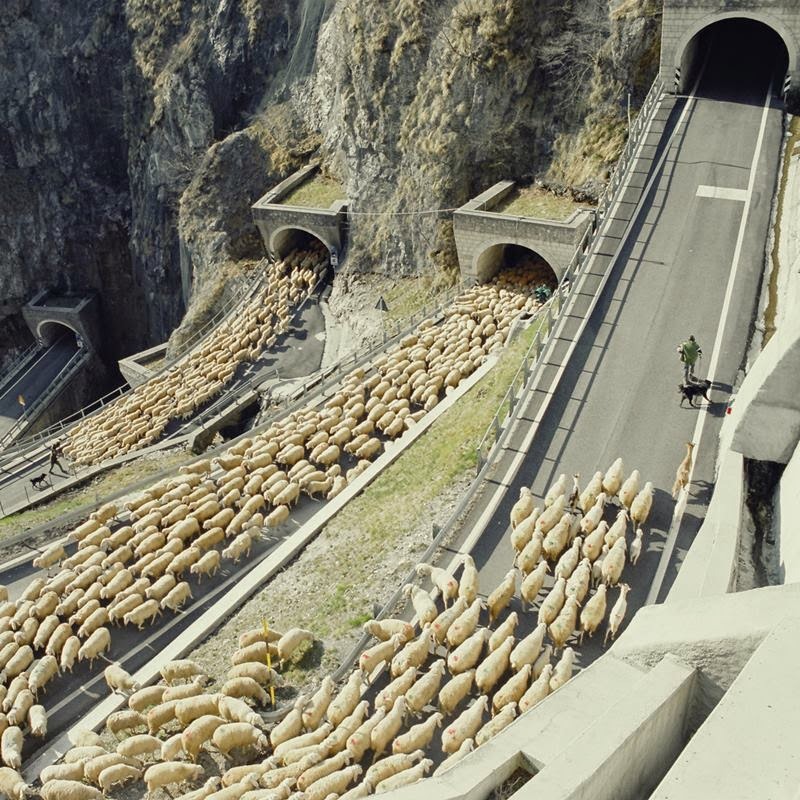 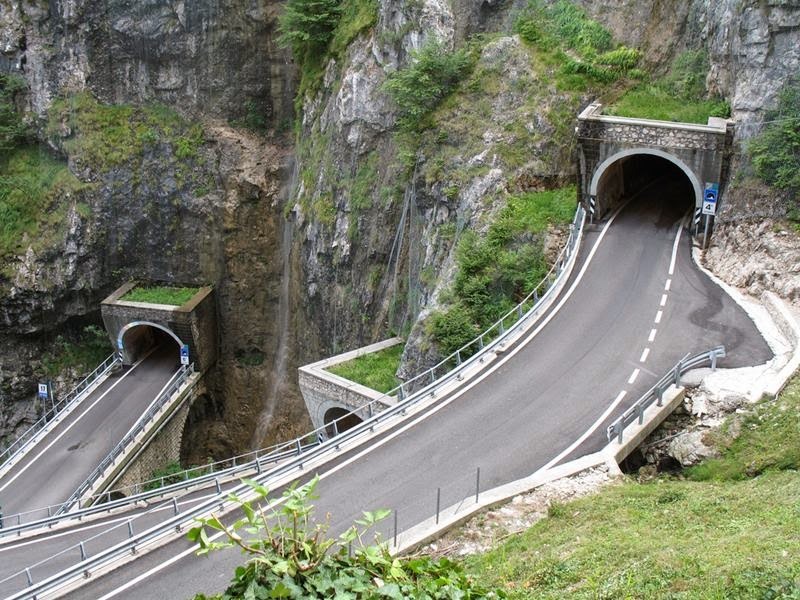 The mountain pass was previously known as Passo Sant’Ubaldo and Umbaldopass. 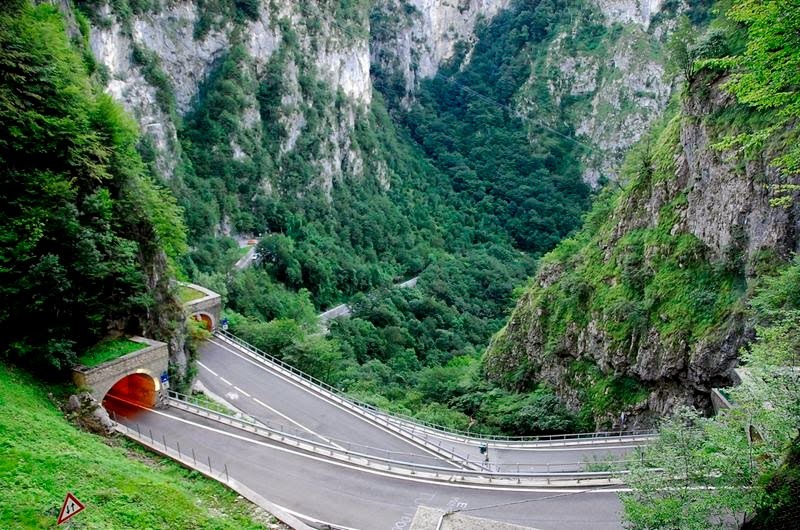 The mountain pass lies at the southern edge of the Alps and links the Val Belluna with the Val Mareno over a height of approx. 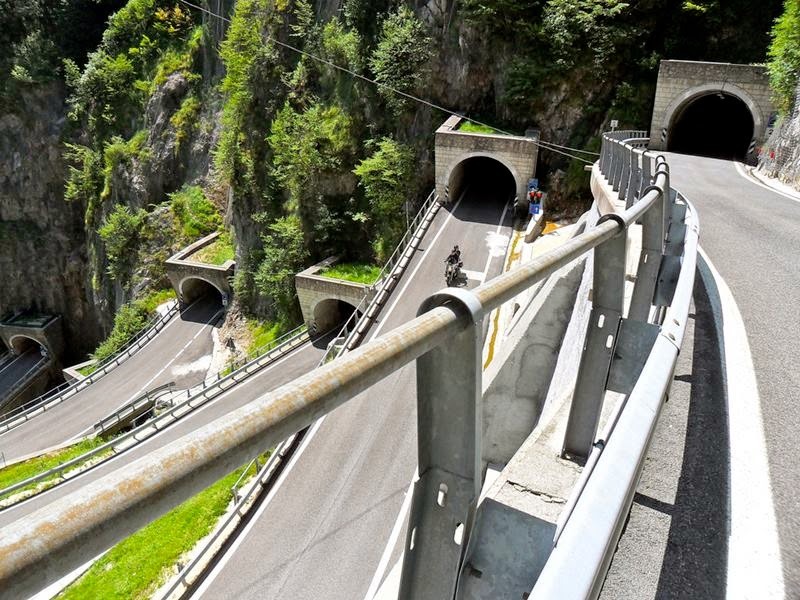 706 meters. 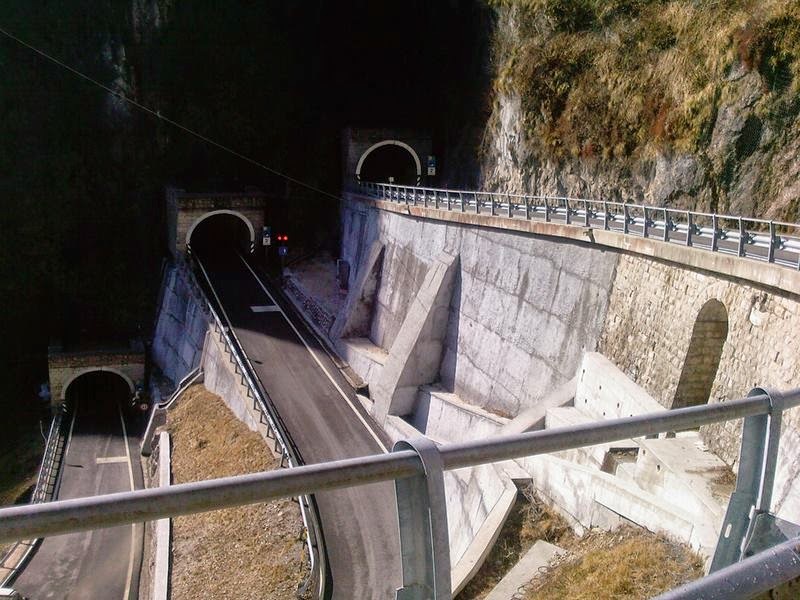 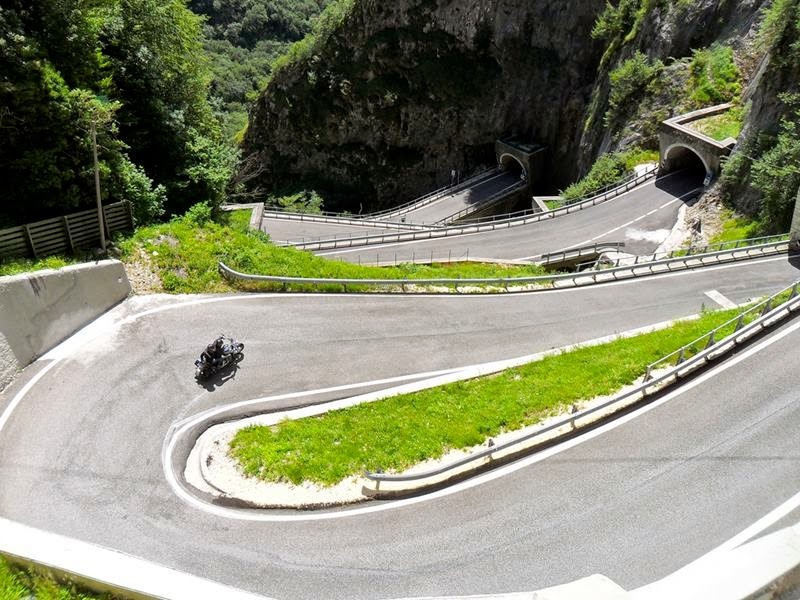 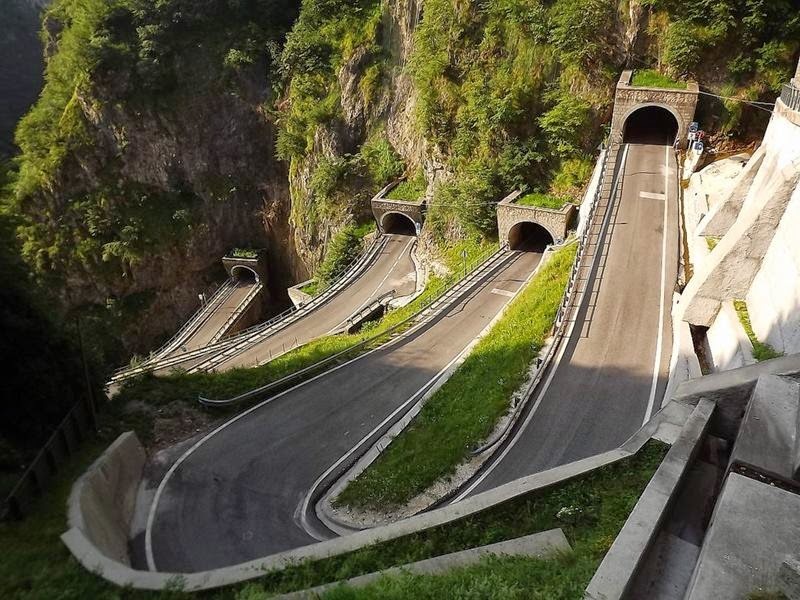 The mountain pass is named the SP 635 (former SS), through the so-called Canale della Scala or San Boldo (in dialect Canal de San Boit) has considerable historical importance, and only one lane is drivable, the traffic is controlled by several sets of lights. 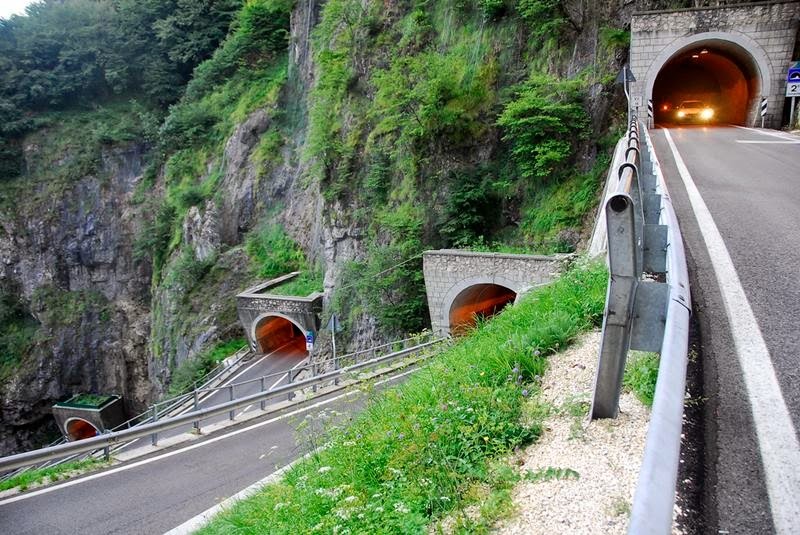 There is a speed limit of 30 km/h (19 mph) and a height limit of 3.2 m (10.5 ft.), after buses were frequently stuck in the tunnel. 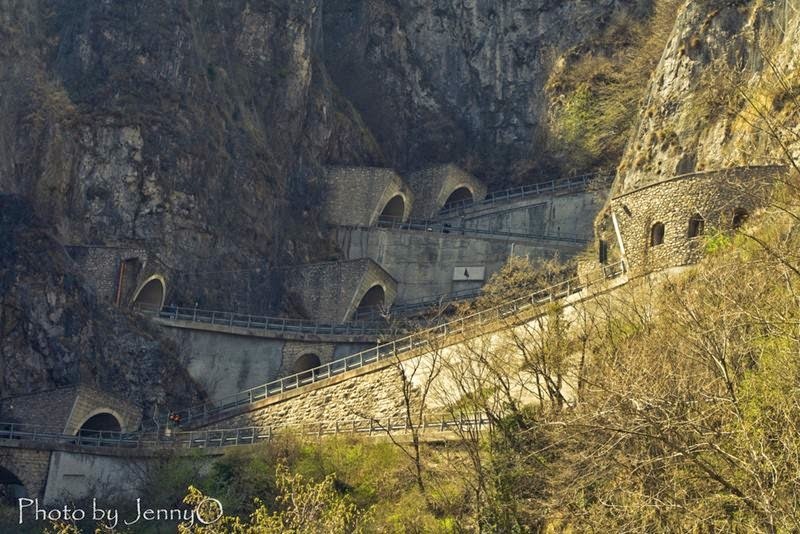 The five tunnels blasted into the rock with hairpin turns or loops, and six bridges.